ORLANDO – Throughout his seven years with the Orlando Magic, Nikola Vucevic’s stellar play has been a constant. However, because the Magic have struggled to win consistently in that time, the 7-foot center has failed to earn many accolades for his accomplishments. Finally, as the Magic have started to play some of their best basketball in years and pile up wins, Vucevic is beginning to be recognized for leading the way. Vucevic, the Magic’s longest-tenured player, was named the Eastern Conference Player of the Week on Monday by the NBA after leading Orlando to a 3-1 record in games played from Nov. 12-18. It is the first time a Magic player has won the award since March 30, 2014 when Vucevic captured the award for the first time in his NBA career. 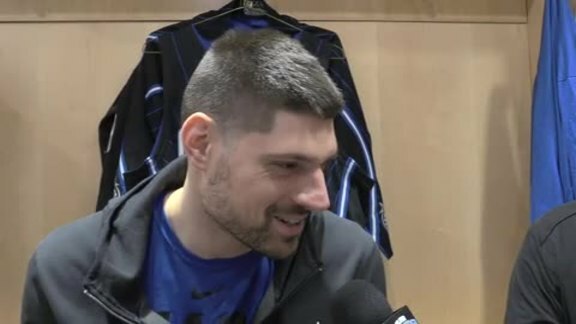 In games played from Nov. 12-18, the 28-year-old Vucevic averaged 27.6 points, 12.3 rebounds, 4.0 assists and 1.3 steals while shooting 58.1 percent from the floor and 47 percent from 3-point range. 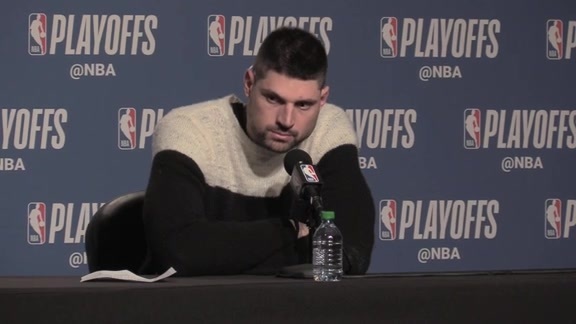 ``I’ve just been aggressive the last couple games, and with how we’ve been playing, it puts me in a lot of good positions to score and my teammates have been able to find me,’’ said Vucevic, who has made 35 of 57 shots and seven of 14 3-pointers over the last three games. Vucevic edged out Philadelphia 76ers all-star center Joel Embid, who averaged 27.5 points, 12.3 rebounds, 4.5 assists and 1.8 blocks while going 3-1 last week. Likely tiebreakers between the two: Embiid shot just 38.5 percent from the floor and lost the head-to-head battle against Vucevic on Wednesday when the Magic rallied to topple the 76ers. Charlotte guard Kemba Walker had the individual performance of the week, scoring 60 points on Saturday against Philadelphia. However, Walker’s Hornets lost that game and lost earlier in the week at Cleveland as well. As Orlando was whipping Philadelphia, the Los Angeles Lakers and New York, Vucevic became the first Magic player to have at least 28 points and 10 rebounds in three straight games since Dwight Howard in 2008. He had 36 points against the Sixers and 30 points against the Lakers, making him Orlando’s first player since Victor Oladipo in 2015 to score at least 30 points in consecutive games. Also, in the four games from Nov. 12-18, his importance to the team could be seen when he was playing and resting on the bench. Vucevic was on the floor 134 of a possible 192 minutes over the past four games and the Magic outscored foes by 15.2 points per 100 possessions then. However, Orlando was outscored by 18.5 points per 100 possessions when he was out of games. In 17 games this season, Vucevic leads the Magic in scoring (20.4 points), rebounding (10.8 boards) and shooting (55.6 percent). He ranks second in 3-point shooting (45.2 percent) and third in blocks (1.12) and steals (1.12). He has two 30-point efforts, nine 20-point nights, 11 double-doubles and one triple-double. He narrowly missed recording a second triple-double on Sunday when he battered the Knicks for 28 points, 10 rebounds and nine assists. Most importantly, Vucevic’s Magic are 9-8 after stringing together three straight victories and wins in seven of the past nine games. Orlando scored at least 130 points in weekend victories against the Lakers and Knicks – the first time in the 30-year history of the franchise that the Magic have done that in consecutive games. ``We’ve gotten a lot better for sure and the biggest part is that our ball movement has been really good,’’ Vucevic said. ``We’re playing for each other and we’re playing unselfishly. We’re trying to find the best shot that we can, working the clock and being aggressive driving. Coach (Clifford) has been putting us in good spots to exploit other teams’ weaknesses. And when something is working for us, we keep it going.